Bike, rider, and team customisation. Enhanced career mode. New game mode. Legendary two-stroke bikes. The 2015 MotoGP™ Season. These are the ingredients that promise to revolutionise the game experience for all competitive motorcycling enthusiasts and MotoGP™ championship fans. 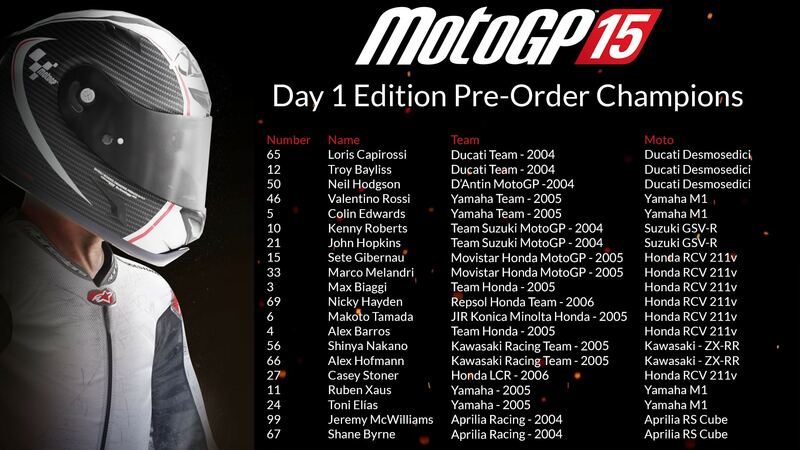 One of the standout features of this new chapter dedicated to the motorcycle world championship season - a defining characteristic of the 2015 edition of the official videogame of the MotoGP™ - is bike, rider, and team customisation, with more than 100 accessories available for purchase*. 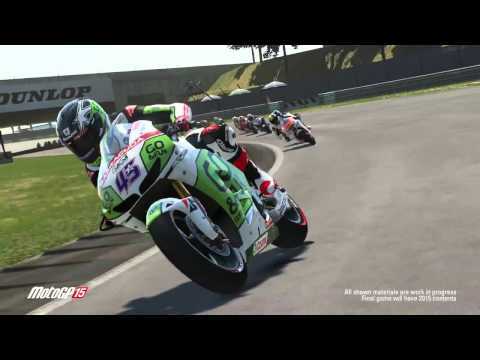 Bike: choose from more than 20 bike models across 3 classes, MotoGP™, Moto2™ and Moto3™, choose from 40 different liveries with official colour schemes, and consider offers from the main sponsors to accept their sponsorship during races. Rider: change the colour scheme of your leathers to match your bike, buy boots and gloves and choose your rider's face. Motorhome: transform your game experience with 3 different motorhomes (Basic, Mid-Range and Top-Range), so your avatar can live in a manner befitting to their level of stardom. The second highlight of the new title is the enhanced career mode, now fully integrated with the customisation features. Once you have created your rider (name, face and principal physical characteristics) you start out on the road to becoming world champion. You'll start racing as a Wild Card and subsequently you'll be able to negotiate your future career by choosing one of the official teams participating in the 2015 championship, or choosing sponsors to race with your own Private Team, taking to the track alongside the existing teams. Negotiations hinge on your performance during races, meaning your customisation options and resulting appearance are directly linked to your in-game objectives. The third new component is the introduction of a new game-mode: Beat the Time. In this compelling new race players are assigned a specific bike on a specific circuit. Riders from the different classes featured in the game have set records on that circuit and on that bike. Your aim is to beat that record.